Pet & Odor Removal: Pet Accident stains and odors can permanently ruin carpet and upholstery. Removed as soon as discovered offer the best possibility of complete removal. We work wonders with old stains and odors, but it is best to call us soon if you are unable to remove them yourself. The need to remove mildew, odors, stale smells, bacteria, and smoke odors is extremely important to your family’s health. TLC applies specially formulated industrial strength yet family friendly chemicals with biocide to remove the source of the odor and enhance the air quality in your home providing a pleasant fresh environment. Furniture Cleaning: Upholstery comes in a variety of fabrics and determining the type of stain and fabric is essential before making any attempt to clean. Many fabrics can be permanently ruined by improper applications. TLC utilizes the Genesis PowerClean extractor after gentle cleaning. Upholstery often returns to like new appearance – and if wanted, we apply Scotchgard protection to retain the fresh soil and spot free condition for an extended period. 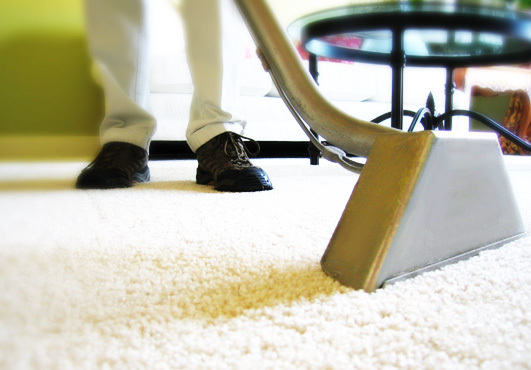 Deep Soil Extraction: Soil must be completely extracted or it will remain when the carpet or upholstery dries. Just stirring up the dirt with water in some cleaning methods will only move the dirt and soil around and will remain when dried. Vacuuming dry surfaces afterwards only collects surface dirt with little penetration. To solve this problem it is necessary to have a powerful vacuum water-soil retraction machine. TLC Heavy duty high horse power engines on our vacuum retractors mounted on outside trucks provide maximum retraction of deep soil in your carpets. Environmentally Safe: Most Products used by TLC are environmentally safe bio-degradable consecrates. Waste water contains no chemicals or toxins harmful to humans, animals, plants or water recycling systems. TLC produces are non allergenic and odor free.